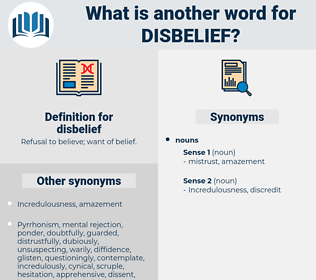 What is another word for disbelief? Refusal to believe; want of belief. certainty, faith, ratification, trust, confidence, belief. decision, resolve, acceptance, credit, assurance, persuasion, determination, conviction, resolution. Yet, waves of conflicting disbelief and conviction, horror and a racking doubt, chased themselves over his features. In the eyes of the state all shades of belief and disbelief are on a par. 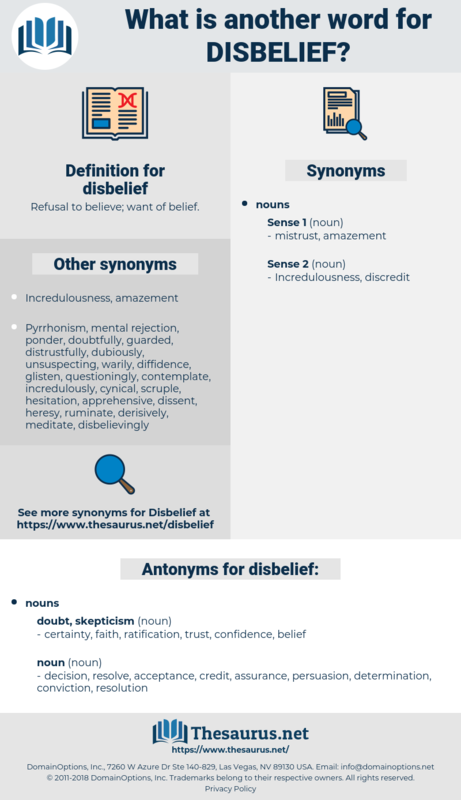 doubtfulness, dubiousness, incertitude, uncertainty, dubiety, doubt.